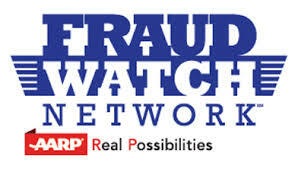 Triad Council members got an earful at the Sept. 22 meeting, when AARP representative Diana Hollett presented information from the Fraud Watch Network, set up by AARP to help people avoid becoming one of the millions of people every year who fall victim to identity theft, frauds and scams. The phone is an instrument of choice for scam artists, so an ounce of prevention can save you a lot of problems, she said: if you have caller ID, don’t even pick up the phone if you don’t recognize the number; if you do answer, ask a lot of questions first and don’t ever give out information. Another good habit to develop is never to click on email links sent by unknown or untrusted sources. Impostor scams, such as a prevalent one where the caller claims to be from Microsoft and wants to help you fix something about your computer. One Council member said she’d received at least four such calls; another said a friend had been so distracted by personal problems that she just gave out information without thinking. She showed an enlightening – and frequently entertaining – video about the tactics used to persuade you to fall for a scam, from scarcity (if it’s only available for a limited time) to fear and intimidation, to playing on your heightened emotions that make it hard to think clearly. The video featured interviews with con artists now in jail (one of whom continued his scam from prison!) and a professor of psychology who talked about the science of persuasion. You’d recognize a lot of the techniques, because they’re also used by legitimate businesses advertising their products and services. A lively discussion followed, with Council members sharing their personal stories of scam attempts and how they protect themselves, and our law enforcement partners telling us what they can and cannot do to help you after-the-fact. Send us your stories! To keep each other ahead of the scam artists, the Council agreed to start sharing stories of what scams or frauds they’ve encountered over the phone or by email. Send the information to Chief Spare (warsawpd@town.warsaw.va.us) who will pass it on to the newsletter editor. Police Chief Chris Spare emphasized that it’s illegal for someone to misrepresent who they are or what they’re selling, but it’s not illegal to offer something that’s ridiculously overpriced, if you agree to the price by purchasing the item. In the town of Warsaw, he said, door to door sales are illegal without a permit – except for churches and charities and groups like the Girl Scouts. The county, however, has no such restrictions. Always ask for an ID, though, as it’s illegal for someone to misrepresent who they are. When it comes to identity theft, he said, it’s extremely hard for law enforcement to track down the source and to prosecute a case even with some information in hand. Prevention is your best defense: safeguard your personal information; don’t carry around your Social Security number; protect your credit cards; check out charities before donating; sign up for the Do Not Call Registry (1-888-382-1222). This entry was posted on August 30, 2015 by jabercrombie702.